< How Does One Creative Process Shape Another? What delicate images and in such a kinetic state of transformation. It’s intriguing to see how you depicted their organic ‘machinery.’ Like they are becoming angels or Phoenician boats or something. Really beautiful. These are so good Karen!!! Always so different, whenever you find them..these have a lovely dark edge to them, like spiny fingers or blind beaked creatures..
As always, I am struck by your delicate images. This photography is what makes you the Class of your own. What a beauty ! —– not the technique, but the eyes. These are exquisite – wow, we are still experiencing the full heat wave of summer! Marvelous tiny threads, floating and swimming, comprising secret views of nature’s fabric. Enchanting. These are gorgeous! 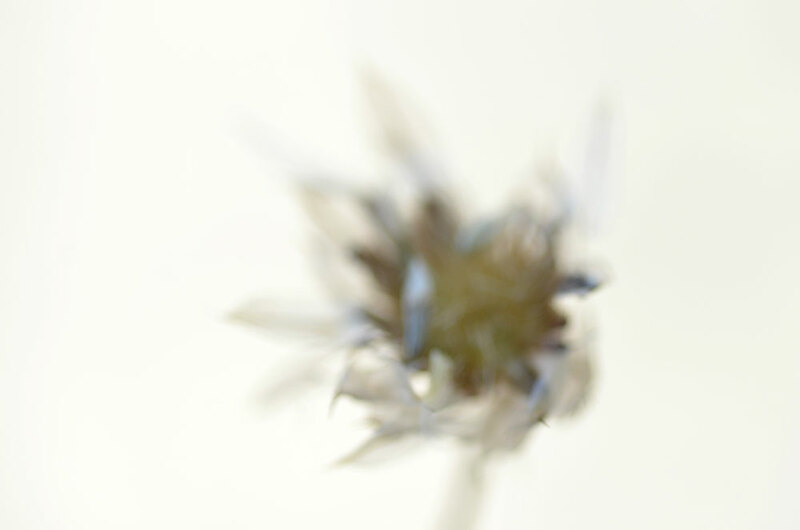 The soft and hard edges, all encompassed in hazy tones are wonderful! Oh, I live those beauties…. These images are quite ethereal in nature. A pleasure to view. Thank you. Love the delicacy of these images. More amazing work – exquisite restraint! That subtle glow of light behind them is another part of what makes these so satisfying, I think. I see the squid-like forms now – they seem to be reaching into space, not reaching for anything, just moving in their own eccentric paths. such large things can grow from such tiny seeds.. lovely as ever Karen. Another impressive project … Absolutely wonderful series, Karen! 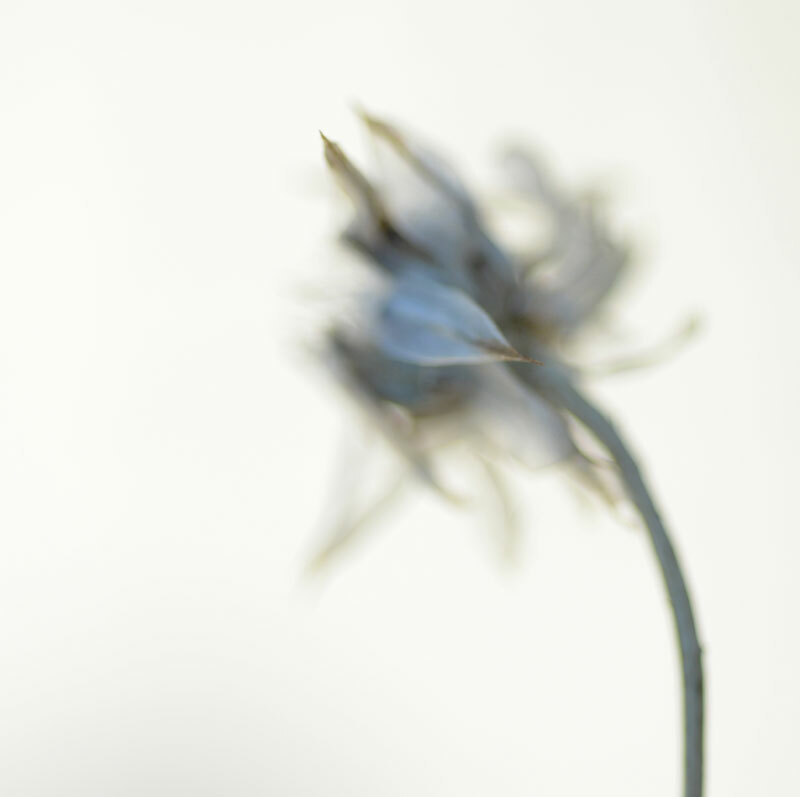 I remember shots you made of those flowers with a very peculiar shade of blue. I think it was those seedheads not yet in seed. I wonder if those flowers were “Nigelle de Damas”. Anyway i love the pictures you made and are still making of them. Beautiful eye you have ! 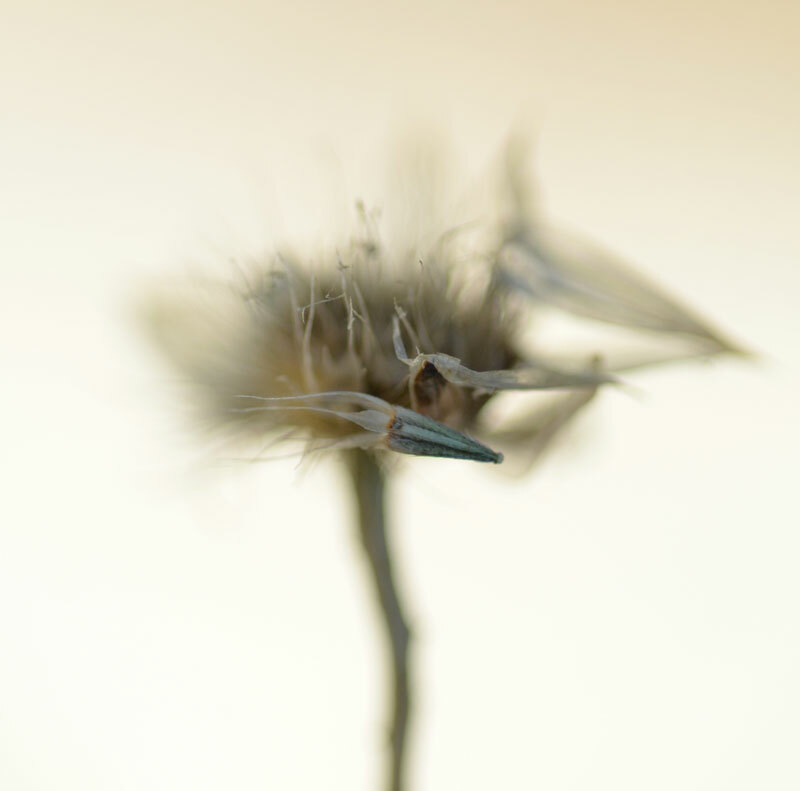 Just checked out your seedhead series – wonderful images. The ice ones are particularly striking, thank you for sharing. Demeure en toutes beautés , les racines de l’ancienne. I love your seed head images, Karen. There is something about the process of decay which is so beautiful, and forlorn. These are exquisite. Gorgeous, Karen. 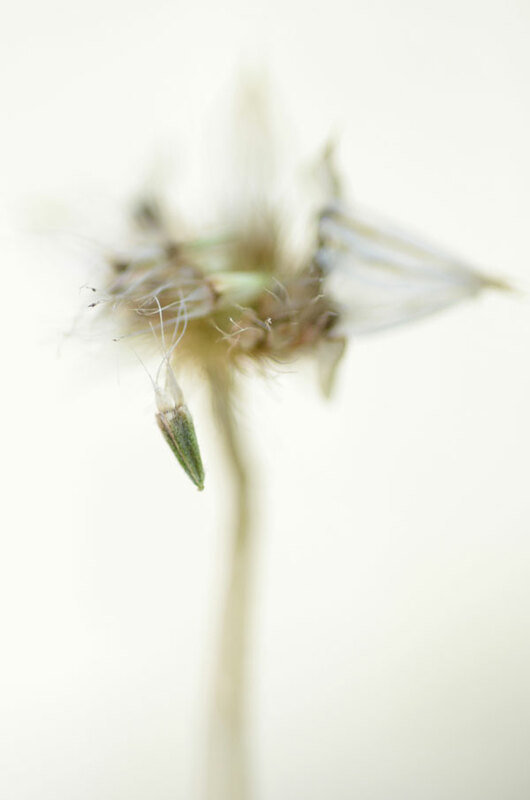 Alongside a sense of decay that Emily mentions above, I find your seedhead vision remarkably alive. 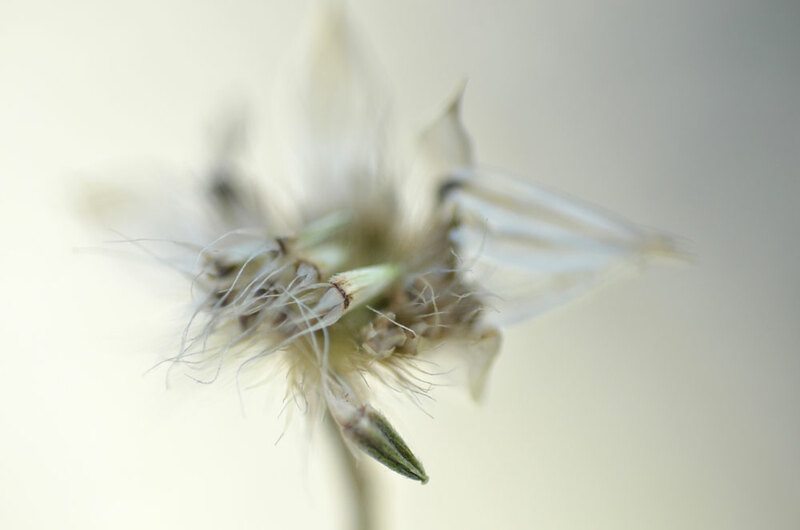 I love your seed heads, Karen, because (tried in vain to italicize this) they always seem in a state of change – they bring their own narratives to the image and you articulate them so beautifully. what wonderful pictures you made! So lovely to watch the seasons change in even the minutest way. Yes, they do look like little squid! Or birthed, tiny pterodactyls. Around here in southwest Colorado, some of the hummingbirds have left and the little sparrows and finches are very busy gathering seeds. Thanks for your thoughts and lovely photos, Karen. You’ve really captured so well that lovely green color of the seed buds, but in a way that keeps the subtlety of the rest of the bloom/leaves. I really love the blurring effects to the background of each piece – you are a master w/ that, Karen! I think i see tiny rockets, just waiting to life-bomb next spring. They are a bit rocket-like, that’s a great concept. Thanks very much, Mike. I wonder how many times I can photograph the same subject and always find something new, I never tire of trying anyway.